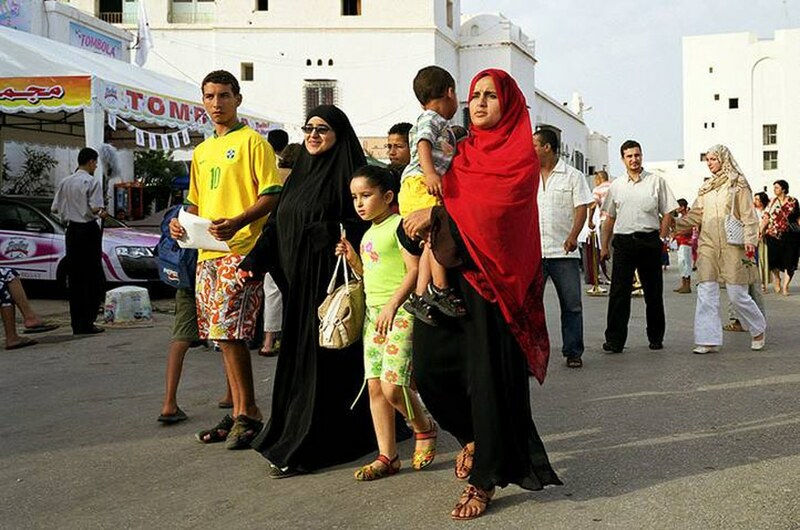 The size and structure of Algerian families have undergone many changes over the past decades. As fertility fell from about 3 percent in the 1970s to about 1.7 percent three decades later, the average size of families also fell. With urbanization has come a larger role for the nuclear family as compared with the extended family, which predominated in earlier decades, but there are significant differences according to class and between urban and rural families. With the increase in education for girls and the increasing role of women in the labour market, the average number of children per family has been declining for the past twenty years. The state provides a basic social-security system for the unemployed and guarantees minimum wages. About 7 percent of the state budget is allocated to social services, including unemployment benefits and grants for the education of unemployed youth. Old-age pensions include benefits for former fighters (mujahidin) in the war of independence, with benefits administered by the independent Ministry of Former Mujahidin. The problem is that these benefits do not rise as fast as the cost of living. This is especially true of the many items that are available only as imports. About one-fifth of the population is uninsured against illness and other health risks or labour-related injuries. As a result, informal networks, especially one’s family, are important for the lower classes.